Get straight teeth without the inconvenience of braces. Get 10 – 20% discount off Invisalign treatments at our Joondalup clinic! Finance available. Invisalign is an amazing revolution in the world of dentistry. Your treatment involves a series of practically invisible, removable aligners, changed every two weeks for your next set of aligners. These are individually made for your teeth and nobody else’s. As the weeks pass, and the aligners change, your teeth will gradually begin to move position. Slowly but surely, your teeth will become straightened to the preferred and healthier alignment under the direction of your dentist. Having straighter, beautifully aligned teeth does wonders for your appearance and self-confidence, but did you know that by fixing any alignment problems you could be improving your dental and overall health? Crowded teeth are difficult to clean and floss properly. Clinical trials have also shown that properly aligned teeth have gums that are more able to fit more snugly around the teeth, leading to improved gum health. When gums become diseased or inflamed, it can lead to tooth decay and a condition known as periodontitis. This is not only a serious problem for your oral health but may lead to other health problems throughout the body such as cardiovascular disease, diabetes, respiratory diseases (such as pneumonia) and cancer. 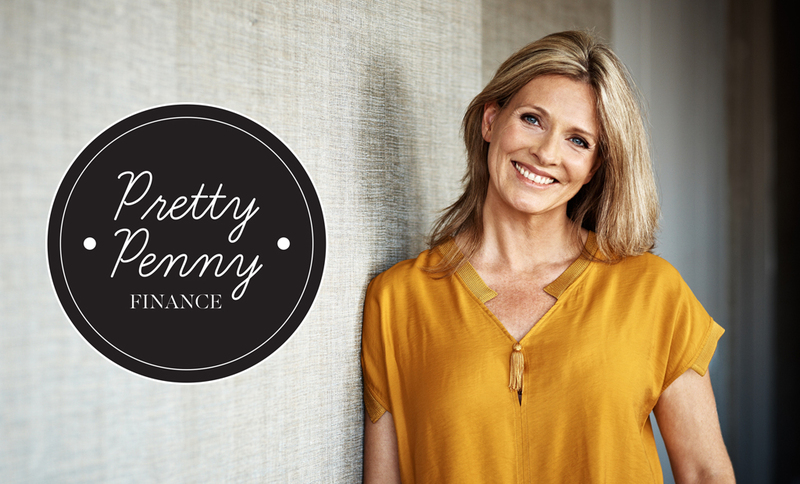 See your beautiful new smile in advance! 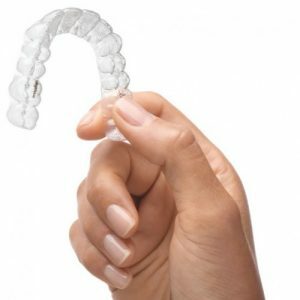 Another exciting feature about Invisalign is that due to Invisalign Technology’s ClinCheck software, your dentist can show you how your teeth will move over the course of treatment – right up to the final result. So you can see in advance what your teeth will look like at the end of treatment! This software enables our team to custom make your very own clear aligners – made just right for you. Crowding: many people with crowded teeth feel embarrassed or uncomfortable with this condition as their teeth can overlap, looking squashed in. Crowded teeth also causes problems with cleaning that may lead to potential dental health problems. Spacing: some individuals have too much space between their teeth. Invisalign can slowly correct this problem, minimising any large gaps by evening out the teeth. Cross bite: a cross bite is where one of the teeth protrudes outwards, which for some people may be less than ideal in appearance. It can also cause problems with issues such as chewing, biting and even damaging the lips or soft tissue in the mouth. Deep Bite: when the upper front teeth cover the lower teeth too much, this is known as a deep bite. This can also cause crowding, making it difficult to maintain good dental hygiene. Almost invisible – no embarrassing metal braces to detract from your smile. Removable during treatment – so you can clean your teeth thoroughly or eat anything you choose throughout your treatment. No irritating materials used – unlike traditional braces, causing pain and discomfort. There are also fewer adjustment requirements. Allows you to clean your teeth normally throughout the procedure, as the device is removable. 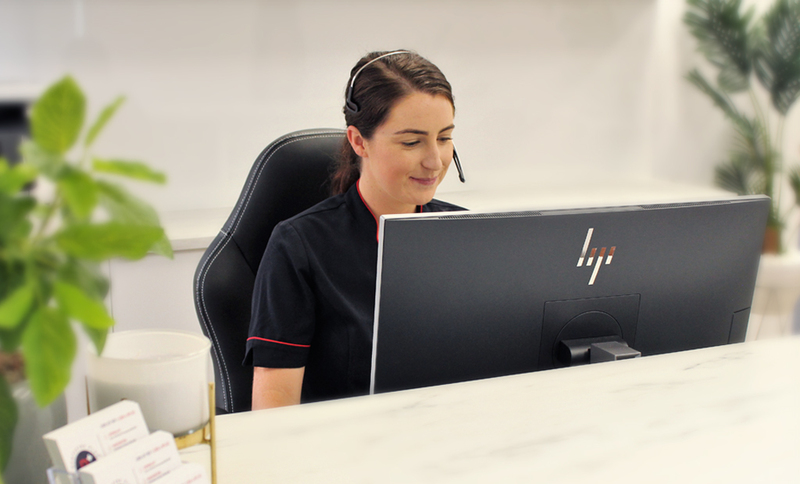 Gives you a clear and definite ‘virtual image’ of your teeth at the end of the treatment, due to the advanced ClinCheck technology – so you know exactly what to expect at the end of treatment. Dr Anjali will assess your teeth, ensuring that you don’t have to address any current dental health problems before treatment starts. If there are any problems, he can address these for you. This consultation time is also the time to discuss the outcome you would like to achieve. If you both agree that Invisalign is suitable for you, he will map out an appropriate treatment program for you with your objectives in mind. He will then take impressions of your teeth, then send them for processing to the Invisalign labs. A 3-D computer imaging program will be used to examine the impressions taken of your teeth. He will prescribe and review a treatment program made especially for your teeth. Due to this exciting technology, you’re able to see virtual imaging of your teeth before, during and after the treatment program, so you can see what your teeth will look like at the end of treatment. Once we have organised your program, bespoke aligners will be made up for you. Each aligner is worn for approximately two weeks, before switching to the next one in the series. 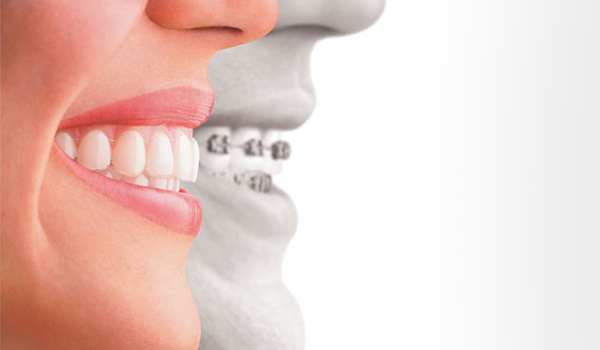 Generally speaking, if you are having both upper and lower teeth treated, approximately 18-36 aligners will be used. Depending on your teeth, this may take approximately 9-18 months. You’ll be required to visit your dentist every 4-6 weeks for a check-up and to receive your next series of aligners. Try to wear your aligners both day and night, removing them only to eat or clean your teeth. Throughout this time, you will notice gradual changes in the positioning of your teeth. What if I have porcelain veneers & crowns? 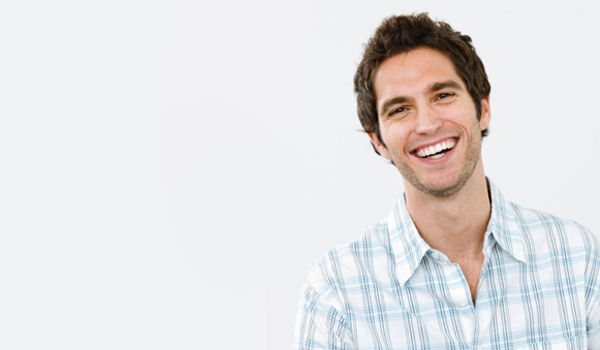 If required, porcelain veneers may be worn throughout your treatment program. For some individuals, straightening the teeth is not enough; for example, if the teeth are damaged or suffer from intrinsic staining (staining that cannot be removed by bleaching alone). It is best to discuss whether porcelain veneers and Invisalign are both needed with your dentist. 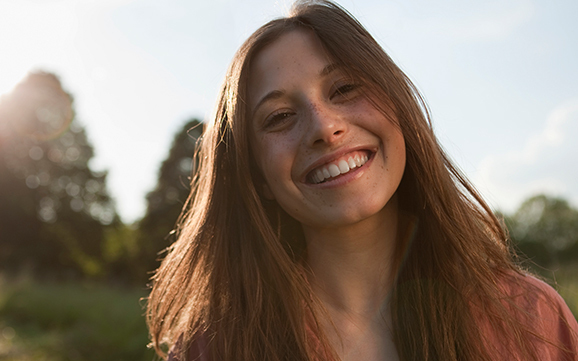 For many people, Invisalign is all that’s required to give you a beautiful smile. Others may simply need a touch of tooth whitening to enhance the look of the teeth cosmetically. Choosing veneers also involves removing the front surface of the tooth enamel and then adhering porcelain veneer to the front surface of the tooth. This is an irreversible process, and new veneers may be needed years down the track, as porcelain veneers do not last a lifetime. The cost of Invisalign varies. For an accurate quote, you will need a consultation with the dentist to discuss this. Generally speaking, the average treatment costs range from $2500-$7000. For some individuals with health insurance that covers orthodontic treatments, you should be covered for a similar amount to braces. 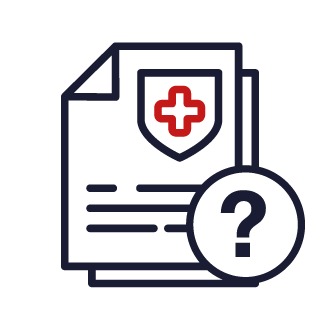 It is imperative though that you check with your health insurance fund to confirm the exact amount of cover. To learn more about our Invisalign treatment, please contact your local clinic.